SHARON, Mass. – Sharon head coach Bryan Kelly didn’t hide his excitement in the preseason for the group he had this season, including a handful of younger players. 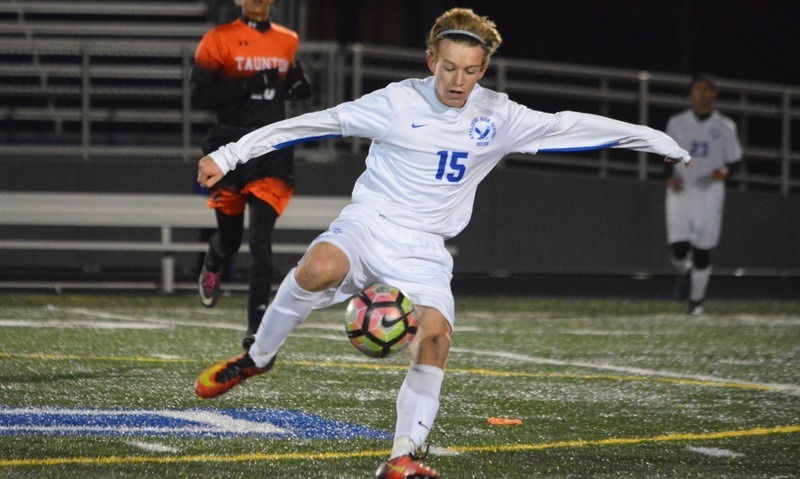 Isaiah Stessman was stuck on the bench for the team’s first three games, and the Eagles were limited to just three goals so far. 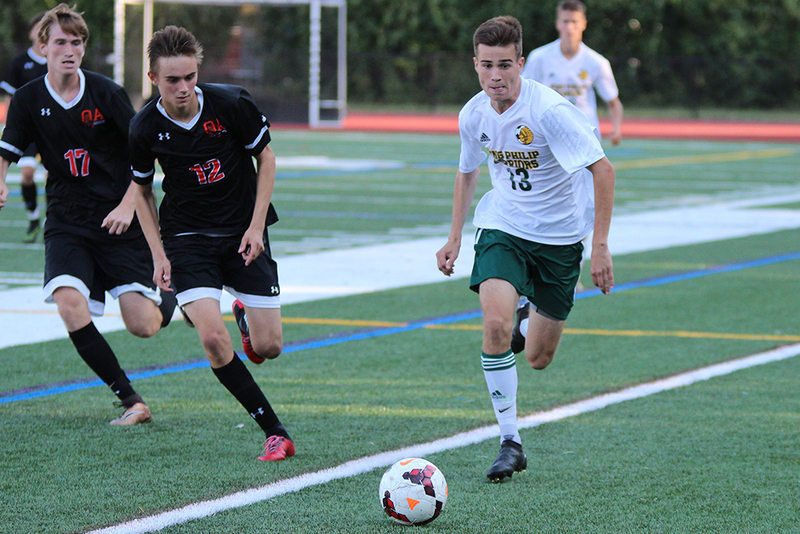 Stessman made a splash in his season debut, scoring a goal in each half, including the game-winner in the final 10 minutes as Sharon recorded a 4-2 win over visiting Attleboro. Michael Baur, off the post and in for a 1-0 lead. Michael Russo but his bid went just over the bar. Marques Benton found some space at the top of the area, turned and ripped a shot that forced a diving save by Hasenfus. But Stessman pounced on the loose ball and buried it to make it 2-0. Brian Higgins but his bid on net was saved. 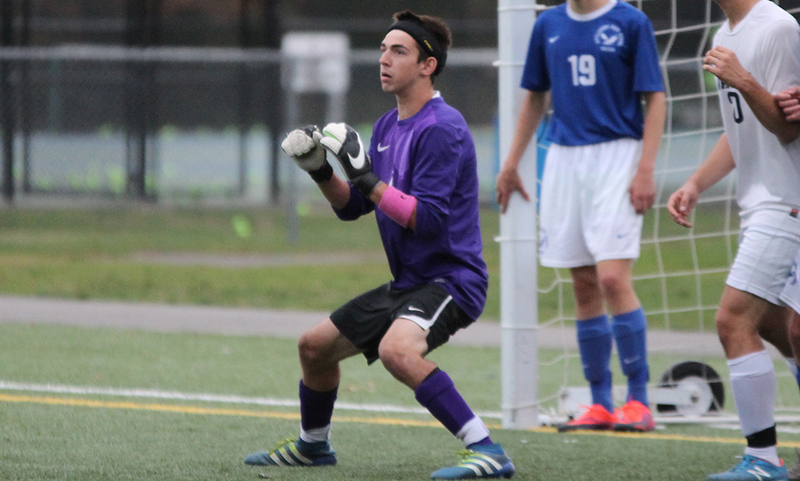 Ethan Kantor made an acrobatic save to preserve the two goal lead at the break. Nathan LaPlume forced it free. Hippler jumped on the loose ball and placed his shot in the upper corner but Hasenfus timed his jump perfectly and knocked it away. 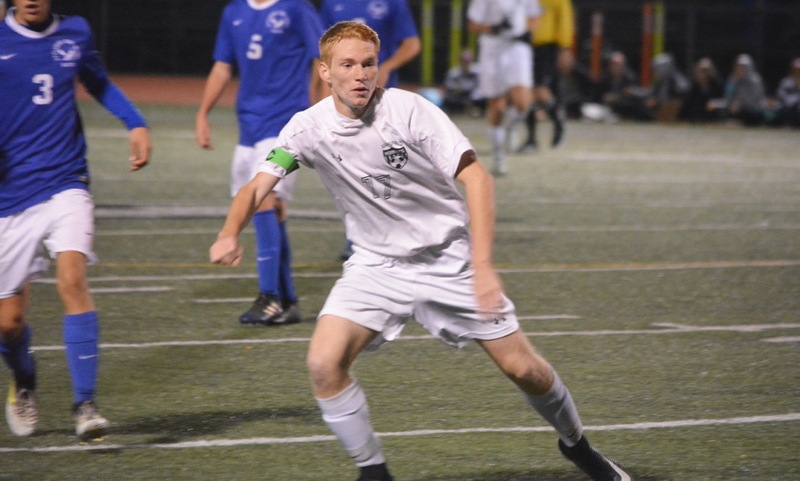 Will Halben was able to flick the ball behind the defense. Halben then tracked down the loose ball, taking advantage of a miscommunication between a Sharon defender and Sharon goalie, touched it wide and finished into the open net to make it 2-1. 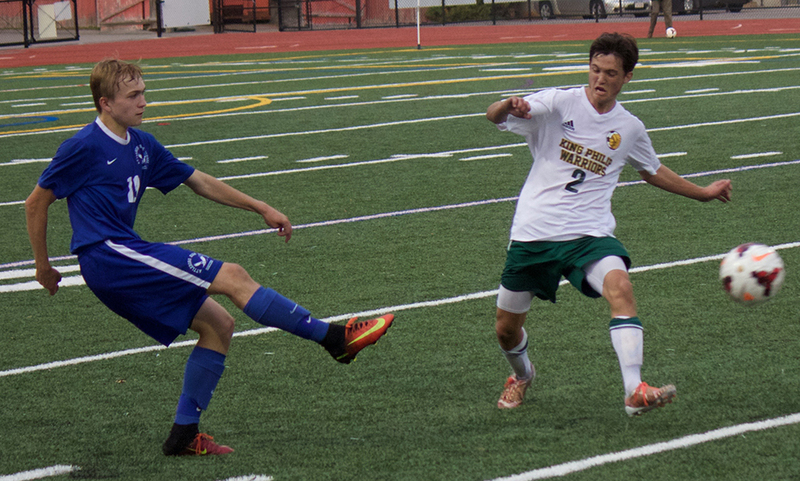 Aidan Lanc put a half volley on goal, but Kantor was positioned well. 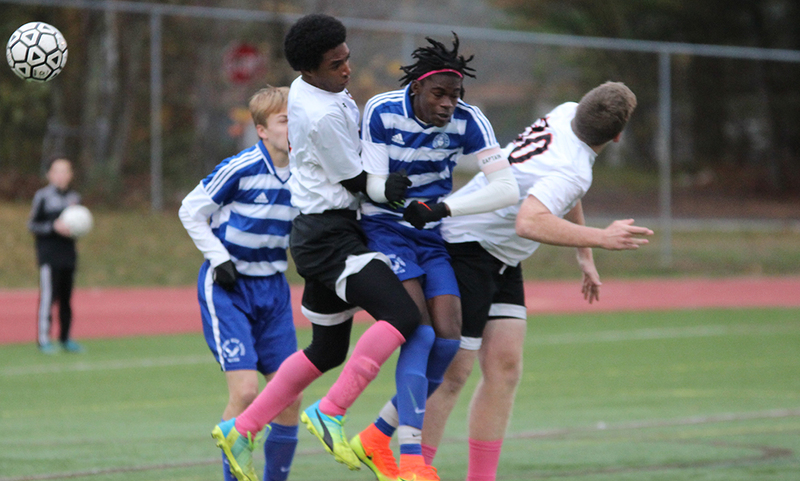 Two minutes after Andre had his floating header stopped by Kantor, the Eagles found the game winner. After a first corner we cleared away, Baur whipped a cross into the near post and Stessman – who was on the bench for the majority of the second half as he eases into game form – made the run and connected with a header to make it 3-1. 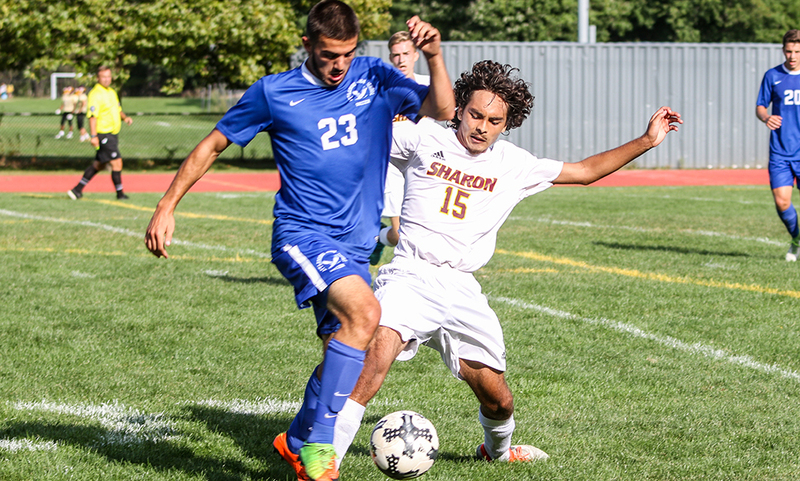 Antonio El-Khoury took advantage and tucked his shot into the far corner in the 80th minute. Eli Araujo to make it 4-2. Sharon boys soccer (2-1-1 overall, 2-1 Hockomock) is back in action on Friday when it opens its Davenport schedule with a visit from Foxboro. Attleboro (0-2-1) is on the road for the second straight game, visiting King Philip on Friday.